Sought after ground floor Golf Villa. Doral Building has been updated by its association and is in excellent shape. 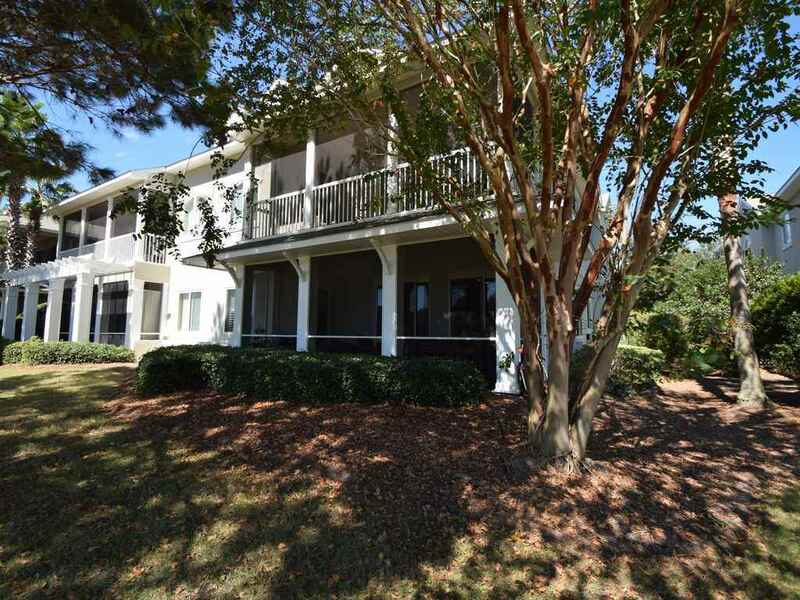 D101 is one the larger villas, in excellent condition over looking the lake and hole #1 Marsh Course. Open floorplan great for living and entertaining. Beautiful bamboo floors, granite counters. Big master with nice walk in closet, en-suite master bath with dual vanities, separate tub and shower. Screened in porch for the golf and water views. And of course, you cannot beat The Peninsula amenities. Tennis, indoor/outdoor pools, fitness center and the golf course, club house and pro shop. All nongolf amenities are included in your dues. All this in a gated, private subdivision with a beautiful bay and pier as part of environment. Directions: Take Ft Morgan Rd (Highway 180) West From 59 And Take The Main Entrance In The Peninsula. Through The Gate And The Links An On Your Right, Second Entrance.